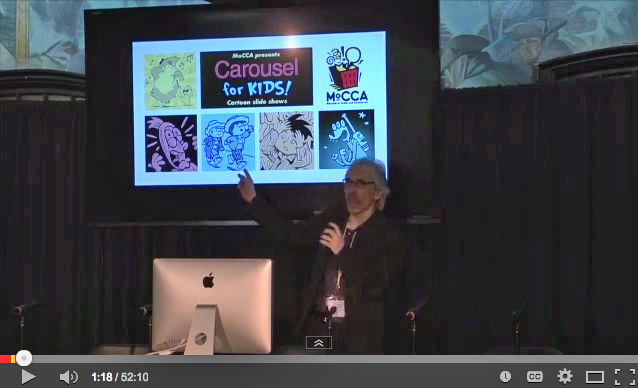 A video from the “Carousel for Kids” presented at last month’s MoCCA Arts Festival 2014 has been posted on the Society of Illustrators YouTube page. The direct link is here. Featuring James Kochalka, Trade Loeffler, Neil Numberman, Colleen AF Venable, and R. Sikoryak. Stories, gags, live drawing, audience participation, and more, for kids of all ages. This entry was posted in History and tagged Video. Bookmark the permalink.